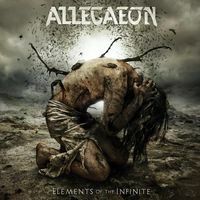 With Apoptosis, Allegaeon have delivered their defining statement. A near-perfect symbiosis of technical, progressive, and melodic death metal, it is a record that is as crushingly heavy as it is inventive, lithe and intelligent, and marks a significant leap forward in their songwriting. The album pushes into new territory, and does so with unerring confidence. "Thematically, this record is all about contrast, and the music reflects that perfectly," says vocalist Riley McShane. "The vocals are heavier than ever, but there are also more clean sections. The drums are faster than ever but also more dynamic, and the guitar playing is lower and slower than on most previous albums, but also provides long, melodic and beautiful sections throughout."